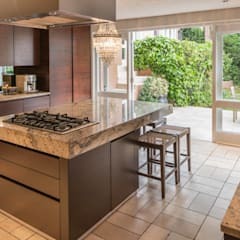 When it comes to home design, the kitchen is often one of the rooms that draws the most attention—it’s the space we usually award with the most consideration. 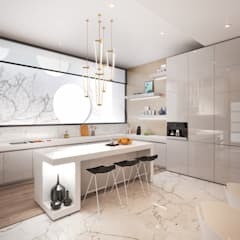 The precision taken by many in designing this multifunctional room might seem a little extreme, but it makes sense when we consider that the space is not only used as prescribed, for cooking, but also for storage, eating and in many cases—socialising. 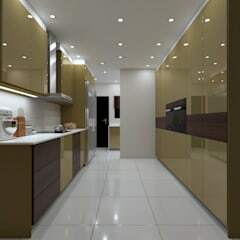 Whether your kitchen is tucked into a corner of no more than two square metres, hiding inside a cupboard, spanning the entire wall of your combined living space or dominating the entire lower floor of your house, there are many considerations to take when it comes to design. From choosing a theme, a style, materials and more, there’s no rule book to travel from A-Z in crafting this space; it’s all about determining what appeals to you and what you can realistically achieve. Once you’ve got these two points down, the fun can truly begin. 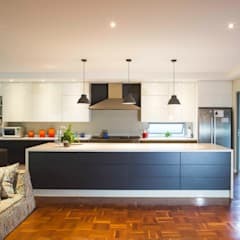 How do I design a stylish kitchen? 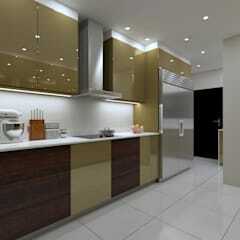 The word stylish is subjective, which means that the perfect kitchen will look different for every person. 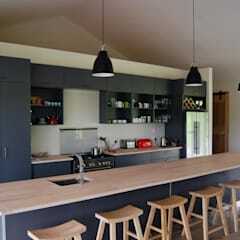 You might be privy to the laid-back Scandinavian look, or maybe you like a more cluttered country-style finish. Perhaps you want to opt for something in between, like a rustic-meets-modern design. It can seem overwhelming at first, as the variety and scope of what’s available is extensive, and everyone has a different opinion regarding what the best choices are. 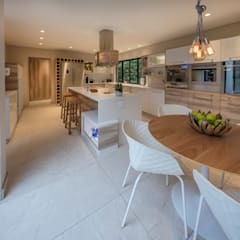 With homify you can easily browse through an endless array of images featuring similar styles in South Africa, on-trend looks and timeless classic approaches. Once you find a look and feel that resonates with you, you’ll be able to figure out what you like and get a more solid image in mind. 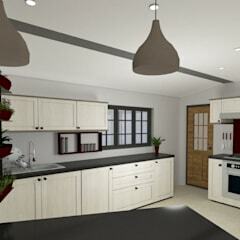 At this stage, you’re halfway to having the ideal, perfectly stylish kitchen for you. For the other half, homify is here to help. Which colour should I paint my kitchen? 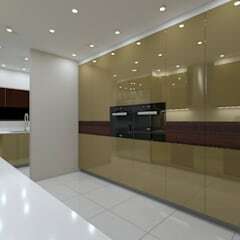 The six most popular colours, or shades for the kitchen are grey, blue, green, white, black and yellow. 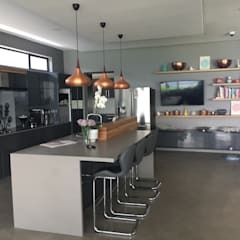 Recently, grey has become particularly popular as it is neither cold nor warm, leaving the palette neutral and open for various design styles. 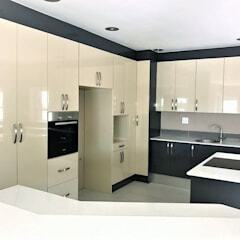 Due to the array of items usually included in a kitchen (unless you’re opting for minimalism), having a neutral and inoffensive colour for the base is a good idea. Blue is used for more or less the same reason, but it pops a little bit more. 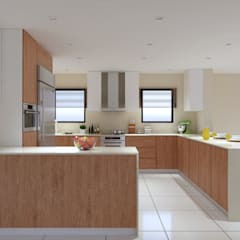 Lighter shades create a clean and crisp look that doesn’t dominate or bore, making it a suitable choice for walls and cabinets. 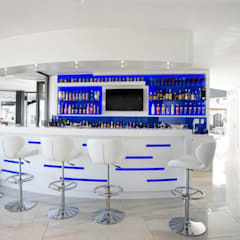 When it comes to dark blue, it’s betting to use it sparingly or it will completely dominate the room. A few pops of it however, can be stunning. The reason why yellow is so popular is because is not only because of the allusion to sunshine, but because it is broadly associated with food and making people hungry. Additionally, the primary colour has been shown to make rooms feel bigger and brighter while leading people to feel calm and happy. 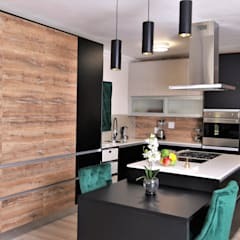 Last but not least, green is another smart option for the kitchen and with many shades to choose from, it can easily be manipulated to suite just about any design style. If, for example, you’re going for a Scandinavian look, mint and apple green pair seamlessly with wooden accents, while emerald green (Pantone's Colour of the Year in 2013) is a bold and striking choice. 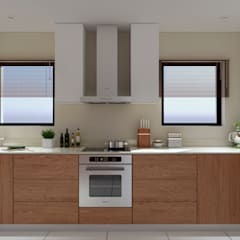 One bonus option that we are loving at the moment is going for an all white-and-wood kitchen with a Portuguese-tile splashback—the perfectly on-point way to inject some colour and style. 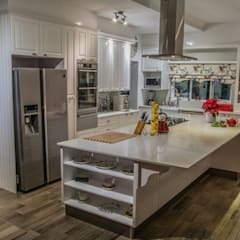 Those blessed with large kitchens have an endless array of options when it comes to design choices, and while that can be stressful, it doesn’t quite compare to the annoyance of trying to make a small kitchen functional. Luckily, thanks to the help of genius design minds all over the world, there are plenty of solutions for hacking and making the most out of our little spaces. We’ve broken it down to our top five tips that are reasonably easy to install. -A Ladder: If you have height to work with, we recommend installing overhead cabinets, sometimes even higher than you can actually reach, and placing a rolling ladder in, so that you can always get to the items stored above. 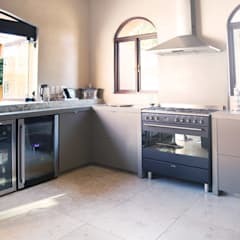 -A pot rack: Pots and pans are some of the most annoying items to store because they take up a lot of space and don’t leave much behind for all the other clutter. If your space allows for it, an overhanging rack upon which to hang them is not only a space-saving solution but one that exudes rustic style. 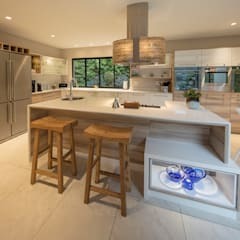 -A removable bench: Available in many shapes and sizes, buying a single-size benchtop to place, for example, on top of your fridge, can add another surface for storage or preparation. 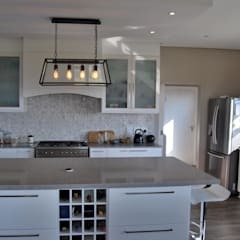 -A mini-island: If there’s a little bit of unused floor space that you don’t need for ease of access, a mini kitchen island is a great option as it will add storage space and give you an additional surface. There are also many available on wheels to give you added mobility. 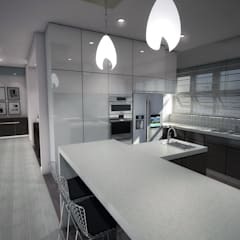 -A mirrored splashback: If you don’t like our Portuguese-tile suggestion above and don’t mind the idea of having to ensure that your splashback is always pristine-clean, then you might be drawn to the option of installing mirrors here. 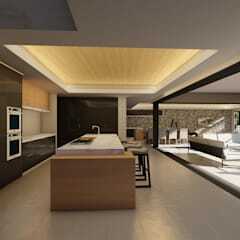 They look cool and naturally make the kitchen look bigger than it is. 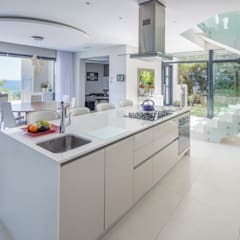 Whether your kitchen is large or small, you probably don’t like the idea of having loads of clutter and appliances on display. While useful and necessary for our daily lives (okay, the doughnut maker and the popcorn machine probably never get used), the reality is that a lot of our stuff quite simply doesn’t look that good. 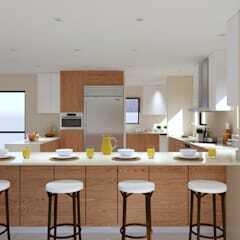 -Optimise your pantry: The first step in any kitchen organisation is ensuring that the pantry is well organised. If you don’t have a pantry, then the space where you store your food and condiments should be give equal consideration. There are plenty of items you can by including dividers, containers and jars to help with this process. 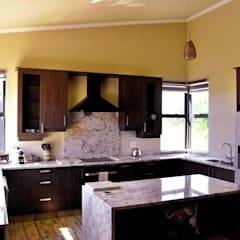 -Use all spaces: Without going completely overboard, nooks and crannies should be taken advantage of. If there’s a little space in between your fridge and cupboards, you might like to install an extra door to make it a new home for your brooms and mops. If you’ve got a big drawer, you could consider installing “secret” inside drawers for more optimal organisation. 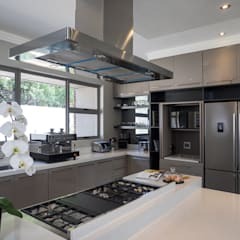 -Install racks: Screwing a rack in from one end of the wall to the other, just above the benchtop, will give you the ability to hang many items in an equally functional and stylish way. In addition to hanging basic cooking utensils and mugs, you can also attach little buckets and jars to fill with bits and pieces, spices or even plants. 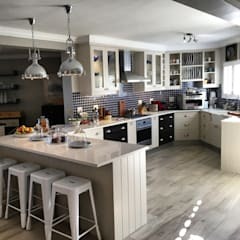 How do I choose the right kitchen cupboards? 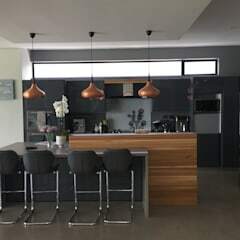 It’s often the case that kitchen cupboards make up the bulk of our overall kitchen design, therefore many things need to be considered. From colour to style to material, getting the right look for you is not always easy. When you’re ready to take on the task, the best way is to break it down into sections. For example, start by deciding on the door styles and then move on to considering the hardware, handles and shelves that will go inside. 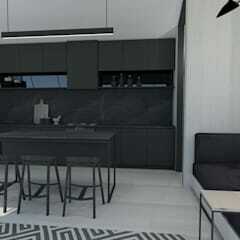 You can choose to directly match them to the doors or clash for intentional contrast. 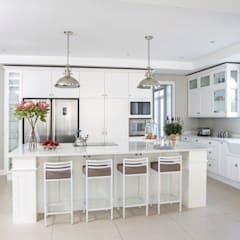 Last but not least comes the colours and finishes, and while colourful cabinetry has indeed made a comeback in recent years, you might also like to opt for muted tones. This will depend on the overall style you choose and whether you intend to follow a trend like nordic, rustic, country, classic, modern or Scandinavian. Ultimately it’s about finding the balance between personal taste, availability, practicality and style.